A not-so-funny thing happened to me leading up to My Bloody Valentine tonight. A visit to the doctor’s office to clean my ears resulted in a ruptured eardrum thanks to an equipment malfunction. If you’ve heard the legend of the Irish quartet’s volume at gigs, you are probably wondering why I had them cleaned before the show. The resulting injury was something I expected to happen during the show, not the night before. This was my fourth time seeing the band in Toronto, but this would go down in my history as the first time I’ve EVER worn earplugs – ever! The sign at the door warning of dangerous volume levels and the distribution of earplugs, not a threat, but a promise, was a luxury not afforded to those of us who attended the Loveless gigs. Tonight I would heed the advice with an extra pair of headphones to be safe, as the legend is absolutely true. In all my concert going years, I’ve never heard volume pumped out like these guys. My Bloody Valentine finally got around to releasing the follow up to Loveless. 22 years later, m b v was something I never expected to happen, like world peace – the idea was there but the reality distant. The album is a worthy successor in the band’s canon so I had high expectations for tonight, hence the ear cleaning. But something’s not right tonight. The crowd is listless, the set list’s pacing is off, the sound at the Kool Haus is overwhelmed by the band and something is up on stage as there were many re-starts including “Thorn” which was aborted after three attempts. Opening with a trio from Loveless; the drone-y “Sometimes” “I Only Said” and “When You Sleep” the band were on form initially, but seemed to lose their tightness by “Honey Power”. The new material sounded good but was a bit of deadweight nestled in between their older and faster material. Watching the band perform is like watching two different bands. 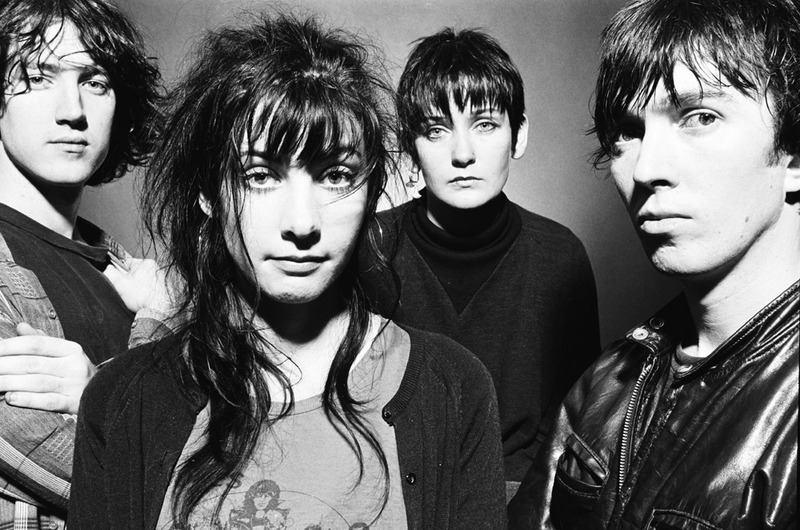 Bassist Debbie Googe and drummer Colm O’Ciosaig attack their instruments like Animals from the Muppets, while guitarists Kevin Shields and Bilinda Butcher barely move other than their arms over their guitars. But at points tonight, it sounds like listening to two different bands, especially on “Feed Me with Your Kiss” and “Soon”. Lost in the mix was some guitar, resulting in a deflated “Only Shallow”. “You Made Me Realize” is worth the price of admission alone and is the subject of their legend. Consistently the band’s set closer, the song is 3 minutes of blistering post-punk with a one-chord breakdown that has been dubbed “The Holocaust Section”. It has to be experienced to be understood but the one chord is frantically played and mangled for an extended period of time. Imagine sticking your head in a jet’s engine as it fires up for takeoff and you’re getting close. Truly the sound of the apocalypse, the screen projections rapidly scroll the visual equivalent while you wonder if your bones can withstand the crushing onslaught. Girlfriends start grabbing their boyfriends and hauling them out to the exit 2 minutes in. Tonight the crowd gets off easy with only 9 minutes before they break back into the song to finish it off. At 9 minutes it is the shortest Holocaust section (14, 18, 23 minutes previously) and the one resulting in the most left standing at the end. While still cathartic, tonight is a disappointment and all factors seemed to contribute, even the damn earplugs. But I’m really glad I wore them. It was my first My Bloody Valentine concert and they’re my favorite band. I had a blast despite the screw ups. It’s still the best show I’ve been to because of the sonic experiences when they worked out well. I was floored when When You Sleep, new you, wonder 2 and Soon came on. You Made Me Realize was absolutely fantastic even though I definitely could have done with a longer Holocaust Section (damn Toronto curfew). As you have seen the band in top form, I can get why a show full of screw ups bothered you. It’s supposed to bother you. For you, this was a sour wine when you’ve had the best. For me, it’s my first sip of wine ever. For me, when Shields threw his guitar and we were hit with the feedback from the guitar hitting the ground, it was a new and exciting element to a show that’s already notoriously loud. The banter between Shields and the audience brought out his perfectionism. Butcher quietly talking to us brought out how humble she is in comparison. I still loved it even with all of the problems. The only problem that did get to me was Sometimes being off, especially since it was at the start of the show. On a professional level, I’d give this concert a 7/10, because it was magnificent when it worked out. On a personal level, I was absolutely blown away. I can’t even imagine how good they are if they can clearly put on a better show than this. I’ve seen shows being pulled off better, but this was still my favorite show not because it’s my favorite band, but because it was unlike any show I’ve ever been to regardless of what went wrong. We’ll just have to hope they come back to Toronto soon! Great review as well.